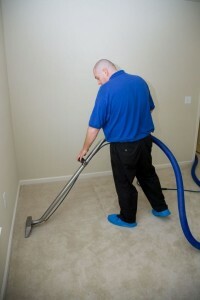 Carpet cleaning should not be put off after a flood or a burst water pipe soaks your home or your place of business. The main reasons? The longer you wait, the less likely it is that the carpet can be saved and the greater the potential health hazard – mold spores – begin to colonize wet carpet in less than 24 hours. There’s this, as well: Your insurance company might interpret a delay as neglect on your part and could be less willing to pay for the necessary carpet restoration. That’s why Archer Restoration Services is open for business 24 hours a day, 365 days a year – because a carpet cleaning emergency requires a prompt, professional response. A wet floor needs immediate attention, and Archer can make it out to most emergency water damage restoration jobs less than an hour after your call, any time, day or night. All of this comes with the most cordial service in the industry, as well as 50 years’ combined restoration experience among our technicians. 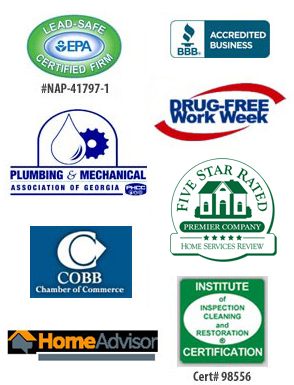 Archer is fully licensed, bonded and insured and carries an A-plus rating with the Better Business Bureau. We also offer direct insurance billing, limiting the burden on you, the client. Contact Archer Restoration services for all your carpet cleaning needs in Woodstock, Norcross, Lawrenceville, Canton, Stone Mountain, Sandy Springs or anywhere else in the Metro Atlanta area.